The number one topic of discussion in every customer meeting I attend is cloud, whether that’s in Munich or Mumbai companies are struggling to define and execute their cloud strategy and migration paths. Having been in this business for 25 years, I sometimes wonder that this conversation isn’t obsolete. The challenge is, there’s no nice neat answer that maps a company’s requirements to a product catalogue. In fact, that’s the wrong way to think about it, but I see peers in the industry do it all the time. Every company’s cloud journey is unique and starts from a different place, for different workloads, with different legacy infrastructure and corporate strategy. As an example, a SaaS model for CRM or HR systems may be considered mature. Adoption or extension into platforms or infrastructure would be nascent or baby steps for many. Some have built their entire business model on developing their own apps on PaaS and IaaS. Perceived privacy and security concerns make public cloud a seemingly risky proposition for others. It will vary based on where the decision maker sits in the organisation. At the business end – Sales, Service, Marketing, HR and Finance – the focus is on speed, and the customer and user experience. In the IT team, there are additional criteria around integration, system performance, reliability, and security that need factoring in. Plus, there may be the need to deliver raw power in a Lego brick model around compute, network and storage, all at a hyperscale for things like risk modelling, research and development, or big data crunching. Most companies want to do more than access the economic benefits of being able to dispense with running their own data centres. As a basic, they want to modernise; most want to take the opportunity to transform and innovate. It generally comes down to a mix of these 3 things, 1) de-risk 2) move from CAPEX to OPEX cost model and 3) some performance or price advantage. In fact, de-risking is typically the #1 issue that instigates many of the conversations I have. Often called the ‘IT Debt’, this is the cost of running legacy hardware and software way beyond its expected life. It’s too expensive to replace, and sits ticking away like a time bomb. CTOs and CIOs know this, and hence, is a key driver for the move to cloud. So, what are the 10 questions you ask yourself to ensure you give yourself choice as you migrate to cloud? 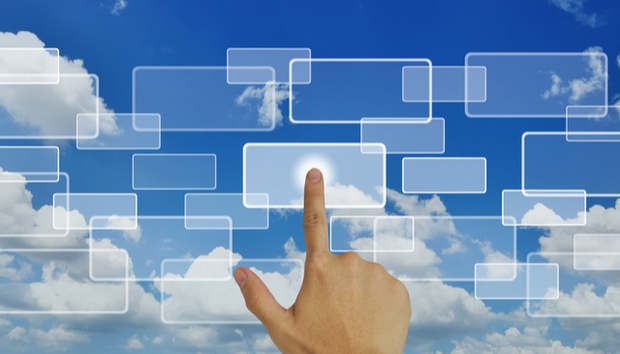 Strategic alignment - Ensure your cloud goals tie to your business strategy and vision. Sounds obvious, but especially IT folks, can get blinded by the latest and greatest. Do you want to be an innovator, or is your focus actually on de-risking, cost savings and CAPEX to OPEX cost models? Mindset - You are not going to get to the future, by holding on to the past. You will need a change in mindset; are you prepared to do things differently? Be prepared to change - Some companies may not be able to shift their enterprise workloads to public cloud services due to data security, compliance or latency concerns. These workloads can continue to be run on-premise through in-a-box type cloud solutions that, in some cases, can offer the same cost structure and flexibility as the public cloud. Other organisations may choose to embrace a hybrid cloud model for development and testing to validate the business case of using public and private clouds. In most cases, it will be a bit of this and a bit of that, and the mix will most likely change over time. Find the perfect partner - Business is complex. You need cloud solutions optimised to run an enterprise workload to get all the value of cloud from an economic perspective, and have all your security and data concerns considered. Can you find a vendor, managed cloud provider or broker that can help you understand the full range of opportunities that cloud provides as well as what the future of enterprise cloud looks like? Ideally, they need to also offer various routes that enable you to extend your existing structure and embrace cloud rather than go for radical change. At a point in time, there will be a case for convergence and rationalisation, but only when at a point appropriate on your roadmap. Security features and governance must take centre stage - The conversation around Cloud should start here rather than for these areas to be bolted on solutions after the main architecture is decided. Management is critical - Will you have visibility into and across all of the cloud elements you are adding into your infrastructure, so you can ensure they are delivering value, and are meeting corporate requirements on security, privacy and so on? At a base level, you also don’t want cloud test and dev environments being running when not in use – that doesn’t bring the economic advantage you turned to cloud for in the first place. Business moves fast; can your cloud portfolio? - It has to be able to pivot with you and have the flexibility to change to take you to the future, whatever that is. You need to be able to switch back and forth between on premises and cloud, and mix and match a variety of options as your approach to cloud matures. Are you prepared to be at the cutting edge? One of the key benefits of cloud is its capacity for quickly adding in new features and capabilities in weeks or months rather than year long release cycles. But don’t panic, operating in constant change is the new stable. Transparency – if you find you are actually locking yourself into a provider, you won’t realise the risk mitigation, and will likely lose some or all of the financial and performance gains you anticipated. Ask what a migration from this cloud to that one would look like in 6 months’ time? Governance will be your best friend - when you need to audit, down the NIC level, when you need to attest to exactly what and where your data is, will your provider be part of your solution or the problem itself? You need to adopt cloud in a way that meets where you are today as well as allowing room for growth. Most likely that will mean a hybrid cloud structure for a time, and it will include the need to use multiple tiers of cloud services. « The rise of the homograph attack: Can you spot a fake email?